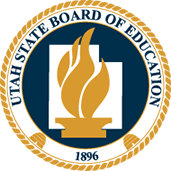 Teachers and students are pre-registered for courses in Utah Compose, and their information is updated nightly. When you log on, you will be on the Home page. The Home page contains Student Writing History, so you can view your student's writing progress. If you have more than one course, the Select a Course page displays all of the courses that are registered to your login credentials. To change courses, click on the course name drop-down menu in the left corner of the page. You can also change courses by clicking on the Change Course link at the bottom of the page and selecting a different course from the list of your registered courses. You can click on Edit Course Name, also located at the bottom of the page under Helpful Links, to edit the course name, then click Save. If you are missing a course, please contact your school administrator and they will update the information. Click Guides to view the 2 Stars and a Wish and Peer Review guides. Click Change Course to view the Select a Course page and choose a different course. Click Edit Course Name (for te to change the name of the currently selected course. The Registered Courses table lists each course by Course Name, Status, and Course Code, and Grade Level. Select All Courses from the Showing drop-down list to see all the courses associated with your account. You have unlimited access to courses with an "Active" status. However, access to courses with an "Inactive" or "Closed" status is limited to managing reports. The Student Writing History table includes details about recent student writing activity including the date, student name, prompt name, step in the writing process, scoring status, number of peer reviews requested and received and any messages from the writer. Click the Date Link to navigate to the student's Score Report for the specified prompt. Click the Messages Link to read and write comments to students within their Score Report. Teachers can utilize over 40 interactive lessons as classroom instructional tools for small and large group writing instruction. There are also grammar and passage exercises for student practice. To access a lesson, click on the Lessons tab. Lessons can be filtered by category and difficulty level. Click here for ideas on how to use the lessons in your classroom.